Click the Apple Podcasts bug to listen. Jonathan Tinajero was excited. He’d been scrolling through Facebook when he discovered a professional football league in Mexico. A native of East Los Angeles, Tinajero had dreamed of playing in the NFL, but his football career had fizzled in college. This looked like a fresh opportunity. His father laughed at him. The LFA? La Liga de Futbol Americano Profesional? That’s a soccer league, son. Dad was wrong. The LFA is hoping to capitalize on the NFL’s popularity in Mexico, and soon Tinajero, a defensive back and wide receiver, was in Mexico City, playing for the Mayas, chasing those dreams again, and learning that the LFA is not exactly the NFL. 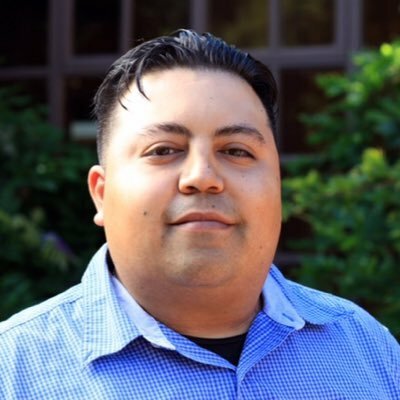 Juan Reyes reports. Juan Reyes is a sportswriter for the Santa Cruz (California) Sentinel. He reported this story from Mexico City. For a gallery of photos of Tinajero and his Mayas teammates, click here. All photos are by Juan Reyes and Montse Lopez Flores. The episode opens with our first story of losing from a listener. Jim Morfino called in with a memory from his childhood in the Bronx. Morfino, 74, lived across the street from Fat Nick’s candy store, which was really a bookmaking operation. “I don’t think there was a legitimate candy store in all the Bronx,” Morfino says. Paulie Soda drove the soda truck, and was one of many Damon Runyon-type characters hanging out around the candy store, where Jim and his friends hung out after school. “Paulie was a loser,” Morfino says. A big problem for Paulie was that he hated the Yankees, so he bet against them all the time. A bigger problem: It was 1953, and the Yankees were on their way to winning their fifth straight World Series. One day, though, Paulie let Jackie Pads talk him into betting on the Yankees. Just this once. If you’ve got a story about losing in your life, call us up at 510-646-1082 and tell it to us. We’ll give you $50 if we use it. Note: All links to Amazon on this page are affiliate links, meaning we get a fee if you use the link to make a purchase. 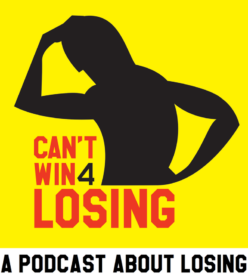 If you’ve been listening to Can’t Win 4 Losing, you’ve heard our closing theme song, “Can’t Win For Losing” by Johnny Rawls. Now you can hear the story behind the song, as well as the story of how it became our theme. 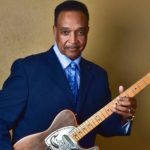 The Mississippi bluesman sat down for an interview before a gig in Fremont, California, earlier this year. Closing Theme: “Can’t Win For Losing” by Johnny Rawls, courtesy of Deep South Soul Records. Visit Johnny Rawls’ website and Facebook page. His latest album is called Waiting For the Train. Used with permission or via Creative Commons licenses.